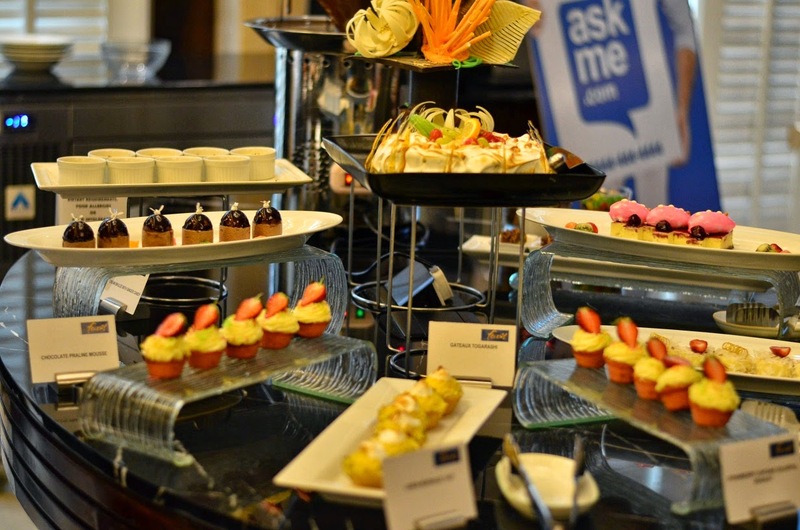 Askme.com organized the first ever foodies meet in Pune at the Le Meridian Hotel on 28th March 2015. I was quite excited to be a part of it and I tagged my foodie DH along with me to the event. 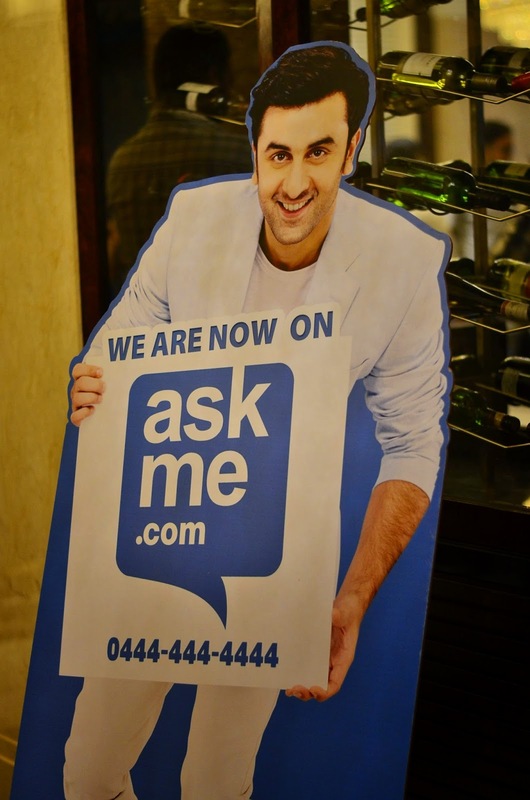 The idea of the event was to bring together foodies in the city to promote the brand Askme.com. A little bit about what exactly Askme.com is. Askme.com is a disruptive new age consumer brand and is being promoted as the "BAPP of all apps". It offers a platform that seamlessly ties search, classified (post an ad), deals (buy now) and commerce. It helps users to have access to hyper-local information 24×7. As of now, there are 6 communities on Askme.com, namely Travel, Wellness, Education, Interiors, Weddings and Fashion. The concept of www.askme.com is quite revolutionary! It aims to provide users everything they need - all in one place. Their brand ambassador is the Bollywood Actor Ranbir Kapoor (he doesn't need any introduction here). I will dwell more about the brand and how a foodie can benefit from it later in the post. But, first let me tell you about my experience at the Feast Restaurant in Le Meridian. Minutes before the meet began! 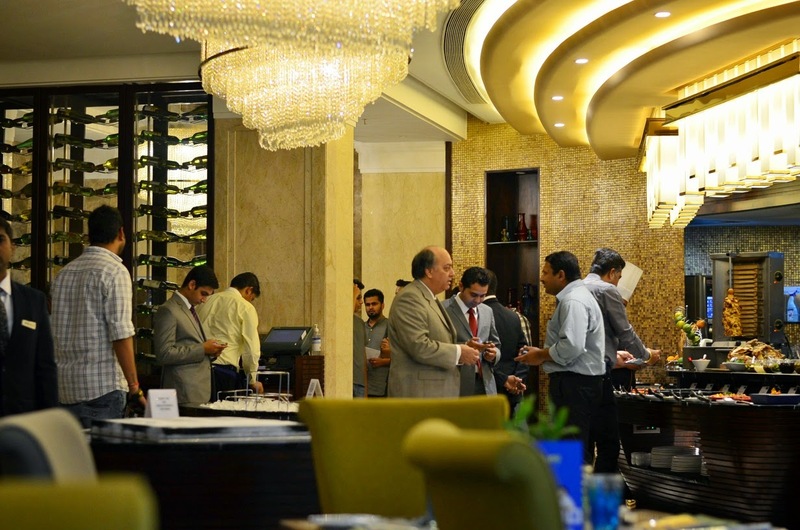 The exotic ambiance at Le Meridian, Pune. 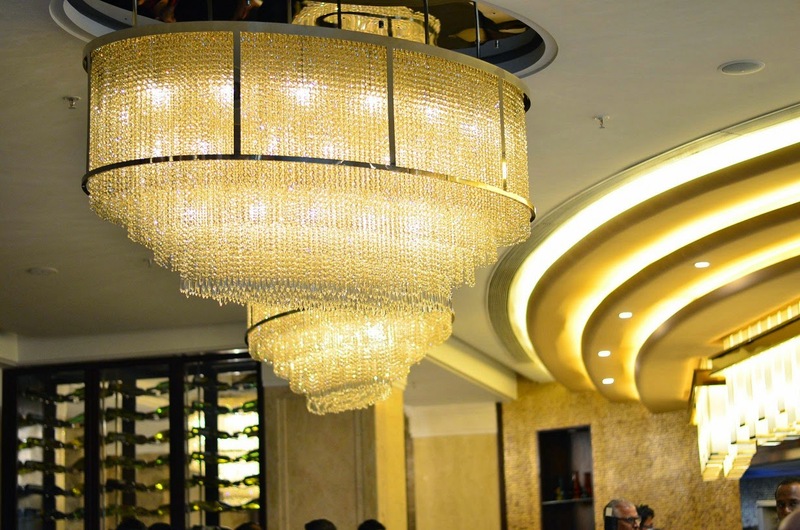 The Gorgeous Chandelier at The Feast Restaurant, Le Meridian, Pune. Foodies in queue for the food! Since it was a foodie meet, I need to talk about the food at the meet. Even for a hi-tea meet, the menu was quite extensive with both veg and non-veg delights. Since, I am a vegetarian I partook in the veg delicacies served. I relished the Thai corn cakes with sweet and sour dipping sauce,creamy Mushroom and chives vol-au vent, Roasted vegetable lasagne, some Mexican and Oriental delights from the live counters. It was then followed by a delectable desserts spread. 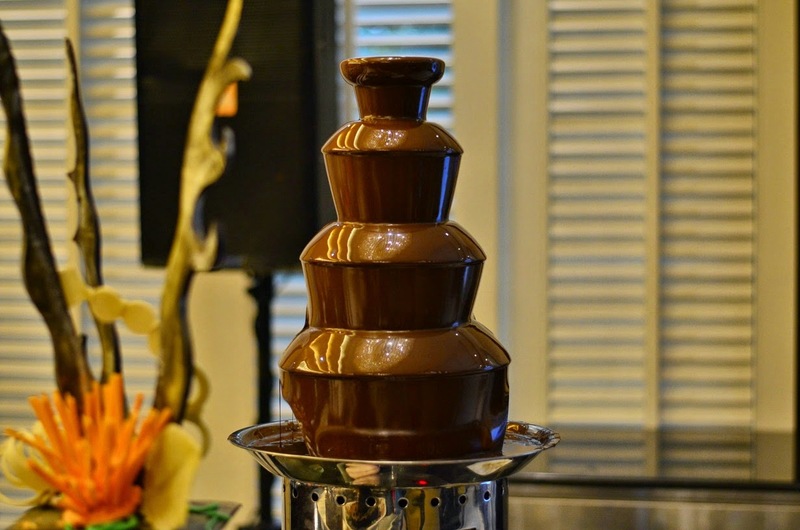 I particularly enjoyed the chocolate fondue! The Best Part of ANY meal - DESSERTS! Is your business there on Askme.com? If you are a business owner, get your business listed on askme.com to reach out to a larger audience. The meet started with a presentation about askme.com. We got to know about the brand and what it aims to do. Another highlight of the meet was the food photography session, where some great tips about food photography were shared. The meet was supercharged with some simple quiz questions by the presenter and there were prizes to be won. Overall, it was an evening well spent. 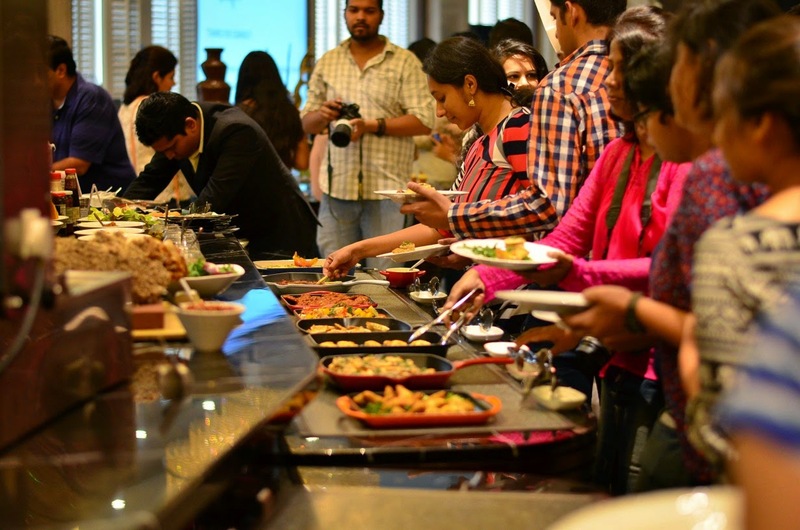 The best part for me was that I got a chance to meet other foodies in the city and interact with them. Now, the question you must be wondering about while going through this post - what askme.com has got to offer to foodies? - Refer your foodie friend and get bonus vouchers. - Write reviews on askme.com about 10 restaurants and get treated with a meal voucher for two. - Keep writing and get exclusive meals/ shopping/ spa vouchers. So, what are you waiting for? Log on to www.askme.com, register and start writing. The more you write, the more you win. 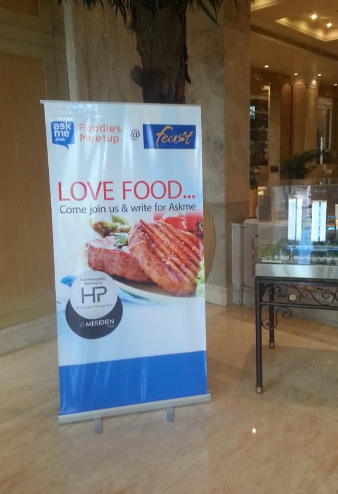 All the foodies who were part of this event, got a goodie bag to take home. That was the idea behind the foodies meet. I would like to thank AskMe for inviting me to be a part of it, will definitely look forward to such meets in the future. Followed you from twitter and I ended up here. Enjoyed the event... but would have been better to meet you :) Moment well portrayed. Thanks for sharing the glimpse. Hope to see you sometime soon. Hi Tara, Thank you for dropping by on this space. yes, we too enjoyed the evening. I do remember seeing you. Sure, will surely love to interact with you next time.. Very nice blog,amazing pictures.... thanks for sharing.Enjoy an exotic dining experience at one of the best hotels in pune .